Oklahoma Connection | Brown opened a mercantile store in Guthrie, Oklahoma, in 1908. In 1950, John A. Brown’s downtown Oklahoma City department store became the largest single city business to be totally air-conditioned and, a few years later, became the first downtown store to install escalators. By the mid-1960s, the company boasted Oklahoma City’s eighth largest payroll. Department store legend John A. Brown was born in Ohio and graduated from Baker University before working in a dry goods store owned by his cousin A.O. Rorabaugh in Emporia, Kansas in 1900. He came to Guthrie, Oklahoma, in 1908 and operated a store there until 1915, when he rejoined Rorabaugh and founded the Rorabaugh-Brown Company in Oklahoma City. 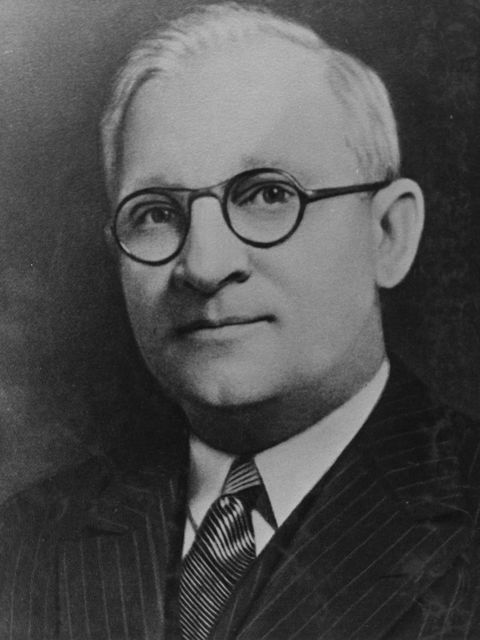 Brown bought out his cousin in 1932 and, with his brother-in-law John Dunkin, opened Brown-Dunkin Department Store in Tulsa, one of the earliest stores to open branches – in the Capitol Hill area of Oklahoma City, Norman, and at Penn Square in Oklahoma City. The John A. Brown Company continued under the leadership of John’s widow, Della, until it was sold to The Dayton Hudson Company in 1971. Brown was also an active civic leader in Oklahoma City and served on the Board of Trustees of Oklahoma City University.